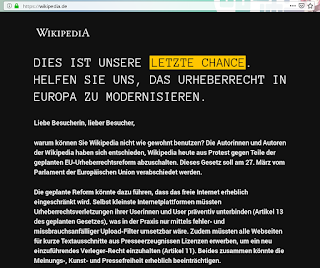 Today Wikipedia in Germany is shutdown. If you visit it, you only see a site telling you that this is you last chance to retain freedom. 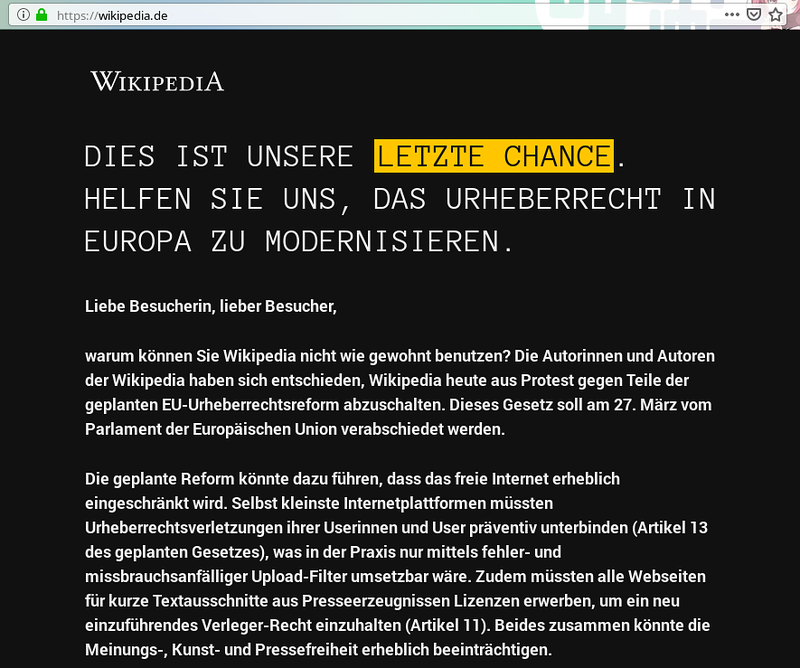 In this protest, it's the first time for Wikipedia to shut down completely in Germany since they are online. The most controversial parts of this try to rebuild a new copyright law in the EU, is article 11 and article 13 which are basically a demand for websites to censor content form users when uploaded before it is showed. This will lead to so-called upload filters. Together with a new EU-wide right for publishers to get money even from small snippets, this will effectively lead to the end of the free internet in Europe. I warned about it over and over again. This EU copyright directive is made by people that don't understand it, fueled by lobbyists of the big media companies, and supported by people that only recognize their own "creativity" and totally see that the internet made us all creatives.